Goodbye to the old year and hello to the new one! Once again we've circled the sun. It takes 365.25 days to accomplish this feat and I'm exhausted just trying to imagine the whole thing! At least I didn't have to pack a bag and get to the airport an hour early. We travel around the Sun in an orbit about 584 million miles long at roughly 66,661 miles per hour. Whew! We made it again. Happy New Year! We had our annual gingerbread house party. It's fun seeing the creative ideas these kids come up with! The 2 above are getting ready to graduate from high school and go to college. Cole's house is ready for an airplane landing. He now sports braces and has grown at least a foot taller. 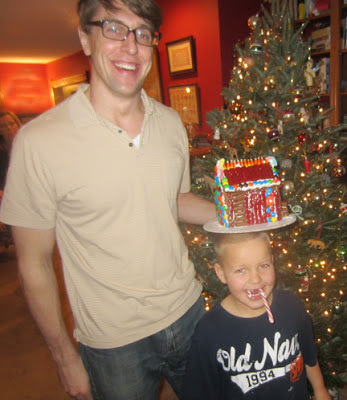 Jeff likes to balance gingerbread houses on unsuspecting heads. Josh has great ideas that Laura likes to copy. And we all enjoy a bit of sweetness in our lives. The ground is covered with a bit of snow and it's cold here in the Midwest. Barb has been dreaming of Spring with this new release. Her pink cottage is perched upon a hill and is surrounded by giant violets. The large blooms add a touch of whimsical folk art. Barb celebrates the year her parents were married in this piece. We've added a chart of letters and numbers so you can personalize your own piece. This pattern will ship out to the distributors the first part of next week. Did you make a resolution for the new year? Mine is cleaning out the studio and I need your help. I would like to donate some of my extra fabrics to a good cause. I'm willing to ship the fabric but only here in the states.....these boxes can get heavy.. I have enough for 2 or 3 causes. Please leave a comment if you have one I could help. Our guild could use them for quilts that we make for the firefighters and police officers. They carry them in their trucks to give to children and families in need. I HAVE BEEN MAKING PILLOWCASES FOR GIRLS AT APPALACHIAN TEEN CHALLENGE IN WEST VIRGINIA.IT IS SOMETHING HOMEMADE THAT I CAN GIVE BACK TO THEM.I MAKES MY HEART HAPPY THAT I CAN DO THIS FOR THEM. I send to Sarah - Confession of a Fabric Addict. Their church has a group that makes quilts for gifting on to many needs. They gifted over 200 quilts last year and all with donated fabric,thread,etc. Please check out her blog and get in touch with her. What a fun holiday celebration. Love the new design! Happy New Year! An annual gingerbread party sounds like a lot of fun and the pictures look like it is! Great new design! Love the family pics too! I'm the Comfort Quilts chairperson for our small but very active guild up here in the mountains. We make about 90 - 100 quilts per year and donate them to the local domestic violence shelter, Meals on Wheels, the hospital, and overseas to Wounded Warriors. We'd be absolutely thrilled to win a package of fabric! Fun Gingerbread party and I love the new design. 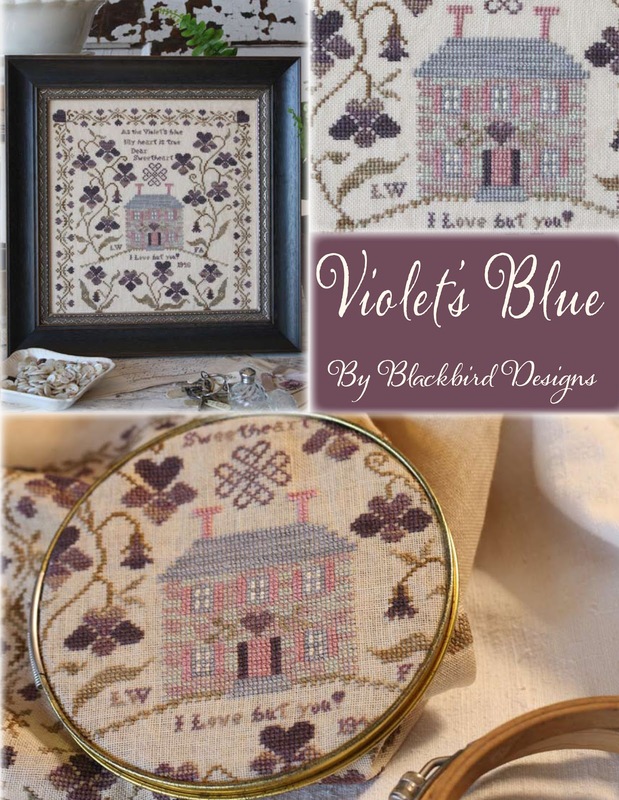 My grandmother lived in a pink house and grew violets so it's a must have for me :-). Beautiful design, as always girls! I belong to a group of women that sew pillows that the first responders carry to give to children in emergency situations. We make them smallish, like a travel pillow size so it's perfect for a child. I usually use a girl pallette and a boy pallete for mine. Your fabric is so beautiful and it's what i normally buy, but if you have some scraps, we'd all be grateful. We currently serve 3 fire departments, all EMT companies and several police departments. I call them cuddle cuddles. Thanks ladies!! any fabric from you will be a joy to sew into a quilt! I work at a private Lutheran grade school in the inner city. They are always looking for fabrics for different projects. Thanks. My best friend is teaching fiber art for the first time. Some of your beautiful fabric will help help inspire budding artist to continue making this world a more beautiful to be. My church makes quilts for the homeless and the women's shelter. I know they would be thrilled to have some fabric to make them with. 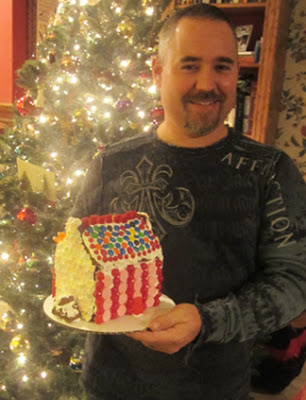 Happy New Year and the gingerbread houses are wonderful! Thanks for sharing. My church also makes lots of donation quilts--HOB, QOV, battered women, babies at county hosp. and so on and so on. We can always use more fabric donations (a lot of what we get is really not 'quilt friendly'). Thanks so much! Love the new book of designs....is it already available? I am working to donate supplies to teachers, one of which I met through Shakespeare's peddler blog, and three others in orphanages. I can reimburse your shipping to me. I then repackage and distribute charts, books, floss, fabric etc to them . I do this several times a year and all the packing, ship fees etc are at my expense. Would just love to use this for these shipments. If i am chosen, please Ship to: Charlene Reeder, Paraclete Designs, 1911 West Wilshire Drive, Phoenix, AZ 85009. Your Violet Cottage chart is lovely and a perfect spring project. I make quilts for wounded military members and their families, quilts for emergency agencies to offer to people who have suffered loss or injury, and quilts for expectant mothers who participate in prenatal classes. Its a joy and a priviledge to offer support to these groups, and your gift of fabric is a blessing for all of the recipients. Thank you for your generosity to the quilting community. Our church uses fabrics for quilts, pillowcases and for "sacks" that are made for children who have to be removed from the home. They use them to let the kids take their favorite items, etc so that they can have something of theirs. Beautiful pattern! I will have to stitch and use my parents anniversary! Will there be a loose feathers 2013? Our guild makes Quilts of Valor and also Hugs & Kisses (quilts for underpriveledge children). We meet weekly on both projects. Your new design is again beautiful. I love violets, as they remind me of my Grandma's sun room of years ago. 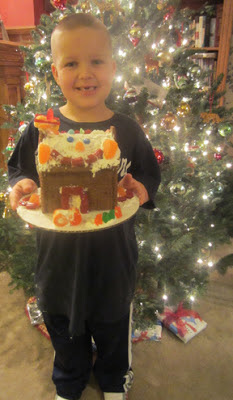 Love the idea of a gingerbread making party - sounds like lots of laughs!! Oh how I would love to win the fabric!! Put me in for helping to clear out. My mom has suffered from Alzheimer's for 18 years and has lived in a nursing home for most of that time. My quilt group has been making and donating wheelchair quilts for the residents. It warms my heart that my friends have shared their love of quilting with these people. We also donate infant quilts to an unwed mother's home in our area. And any extras that we have are donated to the NICU at an area hospital. Thank you for the offer of donating fabric. We would love to win a box from you. So happy to see your post. Love the photos! What a treasure trove of memories you have there. Every time I look over our own family photos I realize I have not taken near enough of them. There are so many groups out there providing quilts for those in need. Our church makes quilts all year for their Chistmas baskets. 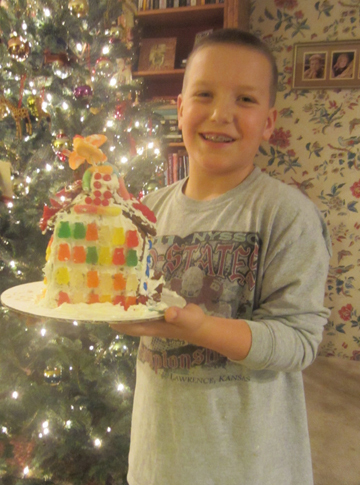 Happy New Year to you and your gingerbread carpenters! i'd just like to say i loved reading all these comments. our fellow humans are wonderful! a dear friend of mine, on very limited income, sews hygiene bags for "Days for Girls" (daysforgirls.com), allowing girls from impoverished communities the ability to attend school regularly (instead of missing due to monthly cycles). It would be such a treat for my friend to be the recipient of a beautiful box of fabric in order to continue her sewing for these girls! I work with Girl Scouts to encourage interest in needlearts - quilting,emhbroidery, needlepoint - so it doesn't die out! I donate my "extra" fabric to my Dad's church. They make quilts for missions and local charities that give them away. 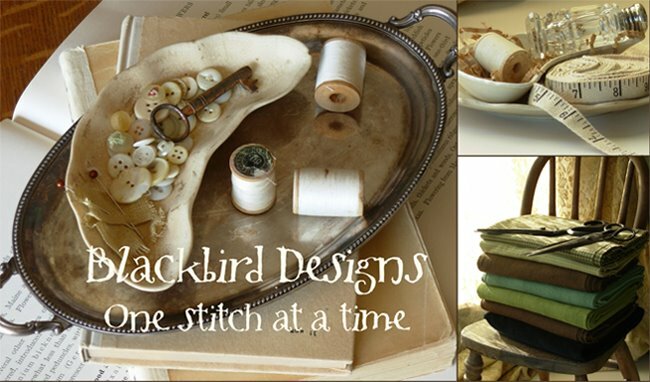 There are so many comments with good places for your fabric - thank you for the generous offer! I'd like to know how to order because I can not find your email? thank you to you and see you soon! I'm helping my daughter make games etc for the children at the head start program where she works.We would be grateful for any donation! Thanks for considering us. Our local quilt group donates quilts locally to nursing homes, women's shelter, and several other places, last months we donated 20 quilts! I am so pleased to see so many active quilters! Quilters have Big Hearts! The fabric would be a blessing to any of us! Thank you! I am a nurse at the Children's Hospital here. Although I work with premies, we also have children of all ages here. I see many pillowcases that others have made and donated and would like to do the same. Thanks for the giveaway! Il va me la falloir cette grille, moi qui adore les violettes ! Encore un magnifique modèle. Meilleurs voeux à toutes et tous. Would love to have some of your extra fabrics! I teach young girls in our church to sew. We've made aprons, skirts, and small craft items. 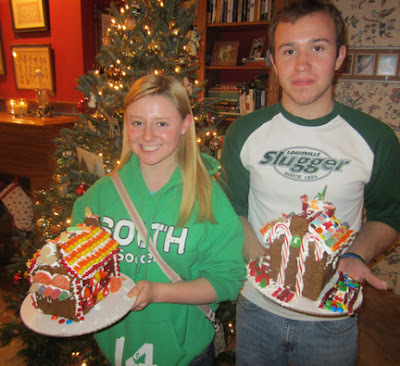 Love those gingerbread houses! 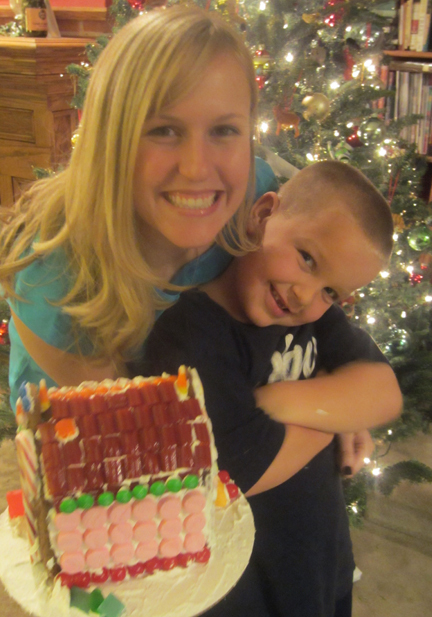 I have 5 boys and gingerbread is our "thing" at Christmas---seems to fit with boys! I send fabric to my friend Sister Brenda Gonzales in Kentucy. She takes it to Belize where the sisters have a home/school for girls and young women. They sew to make a living for themselves. They will be more than appreciative! Our guild, Arkansas Quilters Guild, has chosen The Linus Project as our cause for this year. We've also made so many pillow cases for charity that our fabric stockpile is running very low. 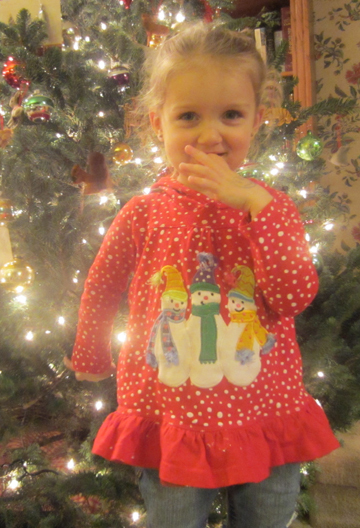 We would be honored and grateful if you should decide to share some of your fabric with us! Thanks and have a wonderful year! I always love that color. This is cute! Very nice card wish you very happy new year 2013. More info at this web site. As far as any student can see, smart thoughts as mental activity may involve individual skills needed at college. Young people are looking for unique short original essays for sale at http://papersmart.net/essays-for-sale.html as we all hope professional writers of such top quality possess prominent writing style no matter what the topic of the research would be. Academic audience can make it best to make the learning process more or less simple.